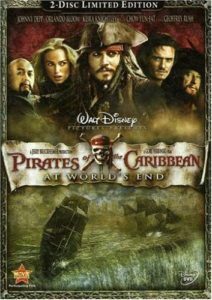 For whatever reason, I was always under the impression that the Pirates of the Caribbean movies are about Jack Sparrow. But, what if the stories are actually about identity, across the board, not just for the pirate? The first film certainly focuses on the journey of all characters towards self-acceptance. I posit that perhaps it … Continue reading "Anl. : Pirates of the Caribbean: Find Yourself"